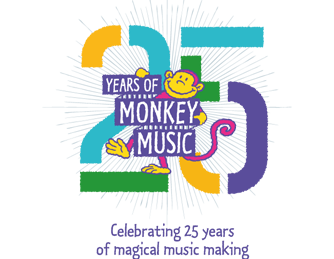 Welcome to Monkey Music in Kew, Richmond, Twickenham and Teddington where we have been providing award-winning, pre-school music classes to local families for over 20 years. Our age-specific, weekly classes are taught by specialist teachers, they are entertaining, educational and perfectly paced- designed to nurture a lifetime love of music! I studied double bass and piano at the Royal College of Music and enjoyed a busy and varied freelance career as a double-bassist before the birth of my eldest child. 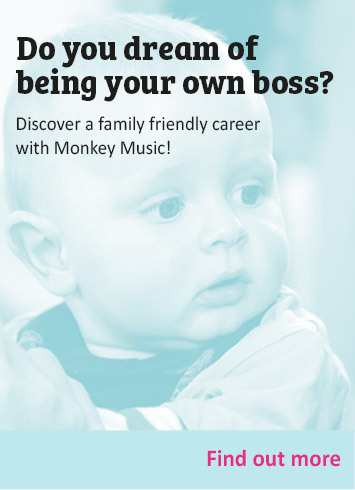 I soon realised that the late-nights and long distances associated with the life of a professional musician were not going to work with the demands of a young family and when a friend introduced me to Monkey Music, it seemed like the perfect way to combine a career in music with my new life as a mum! I started teaching for Monkey Music in 1997 and bought one of the first franchises when the company franchised in 1999. My children are now in their teens and twenties but I still get the same buzz from working with little people and watching them discover the joys of music- there is nothing better! 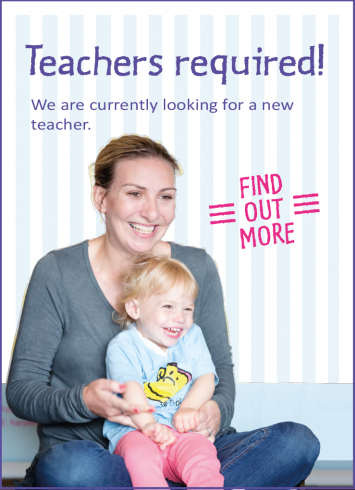 I have a team of wonderfully talented, inspirational teachers who work alongside me, using our innovative, four-stage curriculum to engage the youngest of babies and work with them and their carers through their pre-school years to establish a real love and understanding of music. Monkey Music encourages and nurtures natural social and musical skills and ensures that every child benefits from the positive effects of music. Fine motor skills are refined whilst language and numerical skills flourish through action songs and rhymes. Awareness of space and one another is developed through gentle dance and movement and there is plenty of opportunity for the little ones to experiment with instruments and make music of their own. As they progress on their Monkey Music journey, songs and activities focus on building imagination and social skills and children explore rhythm, pitch, tempo and melody. They begin to make a connection between the music they hear and the music they read and get practical, hands-on experience of the instruments of the orchestra, paving the way for a bright musical future. Our classes are small and friendly and we would love to welcome you and your child for a free trial session. Just give us a call or send an email and we will be happy to answer any questions you have and arrange a complimentary class. We look forward to meeting you and you little monkey soon! "I want to thank you for everything you do to make children love music!" "This is by far the best music class (or indeed baby class!) that we have attended"
"It's the end of an era! Thank you so much for all the fun sessions over the years- you and Monkey will always have a fond place in our family"
"You reign supreme in the delivery of musical inspiration to the pre-school child!" "Why do Claire's classes finish so quickly?" "I had an emotional time at our last ever class today. All my children have loved Monkey Music and it will seem quite strange not to be coming on Thursdays any more- perhaps I need to have another baby!" Claire has been a Monkey Music teacher for over 20 years and has welcomed thousands of little monkeys to her classes in Kew during that time. She plays the double bass and piano and has a teenage daughter and a grown up son. Alena joined the team last year. Originally from the Czech Republic, she is an amazing pianist and mum to a 2 year old little girl. She teaches in St Margarets and has already built up a loyal following of little monkeys there! Harry hails from a background of TV and film and has been teaching Monkey Music for 5 years in Teddington where she has hundreds of little monkeys attending her classes each week. 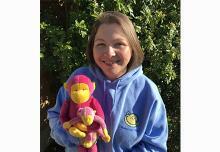 She plays the violin, flute and piano and has two young children- both of them have been to Monkey Music! 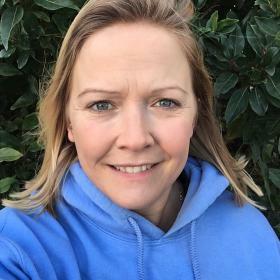 Lynn has been part of the team for over 15 years and runs classes in Kew, Twickenham and Teddington. She is mum to two grown-up boys, a parenting coach and a keen singer- her amazing soulful voice is legendary!